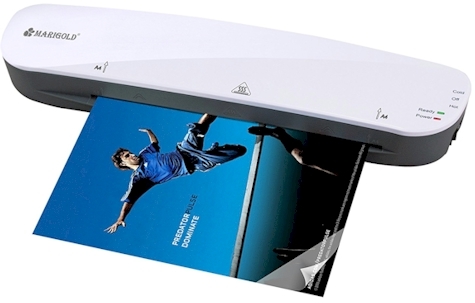 Amazon has got this Marigold thermal laminator for $21.99 - $3.00 coupon = $18.99 with free Prime shipping. It will laminate items up to 9 inches wide. It got 4.1 out of 5 stars rating over 213 customer reviews and is an Amazon #1 Best Seller. Laminators are great for laminating Sukkot decorations, presentation tools, flash cards, car registrations, luggage tags, bookmarks, recipes, photos, all those often-used things hanging on the fridge, greeting cards, documents, crafts, and all kinds of stuff. A friend of mine uses it to make placemats out of her kid's school artwork.